(3) Incubate and inspire design innovations in Hong Kong – for instance, to support different ongoing initiatives in the SAR such as the ‘Smart City Innovation Centre’ in Hong Kong Science Park. 5GIP will focus on the software-configurability of the network through the integration of technologies and products, from ASTRI and 3rd parties. It will develop network orchestration and network slicing features. 5GIP will be an integral part of ASTRI’s NGN initiative – supporting sustained innovation and successful commercialisation. ASTRI has been a pioneer in developing LTE/4G technologies – earning it the recognition as one of the leaders in this sector. ASTRI strives to research, develop and commercialise leading-edge 5G technologies to provide innovative and value-added applications and services. This project will deliver an advanced 5G network environment to support collaboration between ASTRI and the local community for developing innovative and competitive products. In addition, this platform will help to advance the technical capability and competitiveness of the communications industry in Hong Kong, the Mainland and beyond. Mission critical systems are defined as those whose breakdown may result in the failure of vitally important elements of a process, affecting the core purpose of that system. 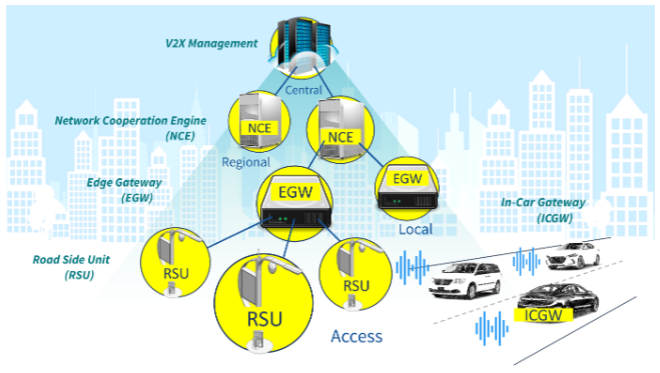 Next generation mission critical communications systems are therefore designed to ensure that communications infrastructure are extremely reliable especially for ultra-low latency broadband traffic delivery. Such communication systems are expected to be relevant for many future applications such as industrial control, transportation, healthcare, disaster rescue, and general trade and commerce. Among many emerging applications, there is a strong demand for public safety in private networks. 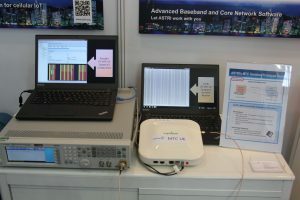 b) LTE based B-TrunC BS (broadband trunking communication base station), where one-to-many low latency broadband communication is enabled in eNB (Evolved NodeB, i.e., base station), following CCSA B-TrunC specification. 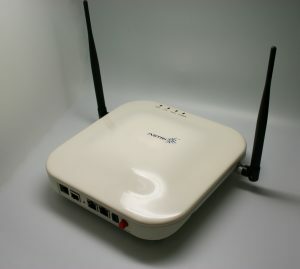 c) D2D (Device-to-Device) sidelink physical layer, where the LTE 3GPP Rel.13 D2D sidelink physical layer is designed and implemented to support device to device direct communications, which can avoid the latency through core network, saving bandwidth when two devices are nearby and allowing communications when there is no infrastructure support. This is of particular importance in times of disaster. d) Self-contained base station for public safety, where EPC (Evolved Packet Core, i.e., core network) and eNB are integrated on CRAN platform with OpenStack virtual machine control to support a One-Box standalone mobile access solution. Layered optimisation will be performed to achieve ultra-low end-to-end latency. 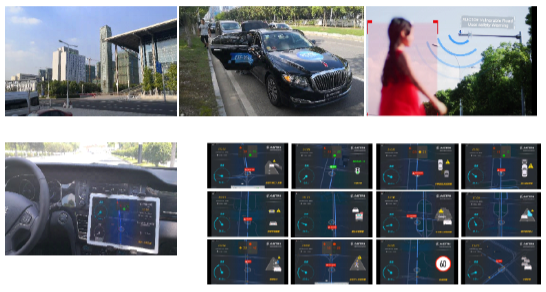 The project deliverables include L1 (Layer 1) link level simulation platform for LTE D2D sidelink, a commercial grade mobile cell reference design on commercially available SoC devices, and a complete test infrastructure to validate 3GPP and private network requirements. The Internet of Things (IoT) is the next evolution of the internet after the mobile internet. While BLE (or next generation of communication technologies such as Lora/NB-IoT) and GPS are well-suited technology to build up IoT applications and systems, integrated indoor and outdoor GIS systems are critical to realize the potential of IoT. This will impact the operation of society in a large scale paving the next wave of innovations and economic activities. A major challenge of GIS systems is scalability during large scale deployment. The software would need to accommodate tremendous amount of networking traffic triggered by millions of devices and mobile users. Message queue technology is used to address the scalability issue of the cloud for massive loading. In addition, it could also be used to increase the network bandwidth efficiency for IoT data. In order for GIS systems to be useful in the IoT context, this system consolidate both indoor and outdoor information in a seamless presentation. These information come from various different sources; outdoor information come from GPS or A-GPS, and indoor information usually come from BLE, Wi-Fi, and magnetic measurements. Also, the system has an interface to big data analytic platforms such as Hadoop. The system is capable to manage multi-site geo-locations, massive users and IoT devices, and also real time proximity and IoT sensors data. The associated security and access right control of the system have also been developed. 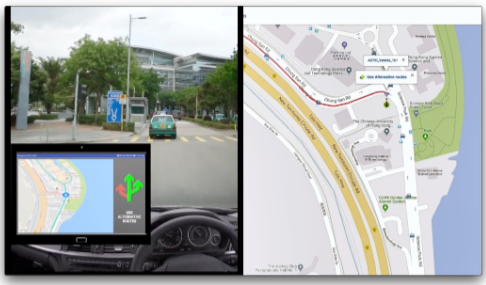 Finally, trials will be deployed in Kowloon East to demonstrate the developed technologies. Know-how and technology in the area of scalable indoor and outdoor GIS will also be transferred to related government departments.